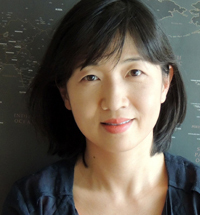 So-Yeon Yoon is an associate professor of Design and Environmental Analysis and the director of Design-User Experience-Technology (DUET) Research Lab at the College of Human Ecology, Cornell University. She is currently the president of the Design Communication Association. She practiced interior design and architecture in Korea and the U.S. With her education and industry experience in design with digital media, she taught the School of Design at the University of Ulsan in Korea and worked with industry partners on large-scale interface/interaction design projects. From her experience in both interior design/architecture and application development, Yoon earned her Ph.D. in Information Technology with emphasis on Human-Computer Interaction from the University of Missouri, in order to address 1) the effect of design using simulations and 2) the user-technology interaction based on empirical research findings for design decision makers and users. In 2014, the International Interior Design Association (IIDA) had announced Professor Yoon as its 2014 Educator of the Year. Yoon’s research has been developed around the interdisciplinary areas of design, user experience and human-computer interaction using computer simulation techniques. To better answer the research questions related to user experience and impacts of designed environments, she adopts innovative approaches with research collaborators from neuroscience, marketing, and media psychology. Before Cornell, Professor Yoon taught in the Architectural Studies Department at the University of Missouri in Columbia for 12 years, leading the design with digital media graduate program. Professor Yoon was a recipient of 2011 Gold Chalk Award for teaching excellence and three-time finalist for excellence in teaching with technology award from the University of Missouri. The primary areas of my research are; 1) user experience and meaning of environmental factors in designed environments using strategic self-reports and psychophysiological signals with computer simulation techniques, 2) design evaluation employing emerging technology to understand emotional, cognitive, and behavioral responses to design elements in physical as well as the virtual built environment, and 3) design problem-solving process and communication in relation to Human-computer interaction focusing on individual and cultural differences. The goal of my work is to advance evidence-based understandings of multi-dimensional user responses to design elements towards optimal user experience by design. As exploratory research, psychological, emotional, physiological aspects of design elements are tested in the Design User Experience Technology (DUET) research lab. Current topics include reactions to physical stimuli (e..g, color, layout, sustainability/high tech messages, human crowding, noise, etc.) known to evoke emotional and cognitive responses. Affective and cognitive qualities of user experience are identified and examined in such research. Other issues being investigated include effects of design elements of the environment such as geometry, color, light, shape, and movement on user experience focusing on space perception and wayfinding using Virtual Reality and Augmented Reality simulation. Yoon, S.-Y. & Chung, S. (2016). Exploring the 3C Workplace: For Connectedness, Collaboration and Creativity. In Alan Hedge (Ed. ), Ergonomics Design for Healthy and Productive Workplaces, CRC press. pp. 389-406. Yoon, S.-Y. & Wise, K. (2014). Reading Emotion of Color Environments: Computer Simulations with Self-Reports and Physiological Signals. In J. Watada, H. Shiizuka, K. Lee, T. Otani, & C.-P. Lim (Eds. ), Industrial Applications of Affective Engineering, Springer. pp. 219-232. Yoon, S.-Y. (2007). Exploring Usability of Web-based Virtual Reality Technology. Berlin, Germany: VDM Verlag Dr. Mueller. Tofle, R., Schwarz, B., Yoon, S.-Y., & Max-Royale, A. (2004). Color in Health Care Environments: Coalition for Health Environments Research. Yoon, S.-Y. (2001) Designing Web pages for Non-Designers, Ahn Graphics, Seoul, Korea, translated to Korean from original: The Non-Designer's Web Book by Robin Williams, John Tollett. *2018 Design Communication Association Drawing Exhibition of selected works, College of Human Ecology, Cornell University, Oct. 30-Nov. 15. 2018. *NanoWhere –Cornell Council of Arts Biennial, MVR Gallery, Sept. 18-30. 2014. *2014 Design Communication Association Drawing Exhibition of selected works, School of Architecture, Southern Polytechnic State University. Oct. 1-5. 2014. *Solo exhibition, Pixel & Paint, FanCo Gallery, Seoul National University, June 19-Aug.17. 2013. What social sensing technology can do for workplace design, EDRA Connections pp. 8-9. May 2016. Chandrasekera, T. & Yoon, S.-Y. (2018). The Effect of Augmented and Virtual Reality Interfaces In the Creative Design Process, International Journal of Virtual and Augmented Reality. 2(1). pp1- 13. Jang, J., Baek, E., Choo, H., & Yoon, S.-Y. (2018). Store Design: Visual Complexity and Consumer Responses, International Journal of Design. 12(2). pp105-118. Baek, E., Choo, H., Oh, H. & Yoon, S.-Y. (2017). How consumers “see” a visually warm store: Differences between affective and cognitive processors, Journal of Consumer Behaviour. 17(2). pp.149-160. Alawadhi, A. & Yoon, S.-Y. (2016). Shopping behavioral intentions contributed by store layout and perceived crowding: an exploratory study using computer walk-through simulation. 41(4), Journal of Interior Design. pp. 29-46. Sadeghi, R. & Yoon, S.-Y. (2016). Effects of detail and navigability on size perception in Virtual Environments, International Journal of Architectonic, Spatial, and Environmental Design. 10(3), pp. 17-26. Yoon, S.-Y., Choi, Y. & Oh, H. (2015). User attributes in processing 3D VR-enabled showroom: gender, visual cognitive styles, and the sense of presence. International Journal of Human Computer Studies. 82. pp. 1-10. Chandrasekera, T., D’Souza, N., & Yoon, S.-Y. (2015). Virtual Environments with soundscapes: a study on immersion and spatial abilities with wayfinding tasks. Environment and Planning B-Planning and Design. 42. pp. 1003-1019. Yoon, S.-Y. & Choo, H. (2015). Visual merchandising strategies for fashion retailers. Journal of Global Fashion Marketing, 6(1). pp. 1 - 3. Chandrasekera, T., & Yoon, S.-Y. (2015). Adopting Augmented Reality in design communication. The International Journal of Architectonic, Spatial, and Environmental Design. 9(10). pp. 1-14. Lee, H.-K., Yoon, S.-Y., Lee, J., Kim, H.., Kwon, H., Kang, H., Hur, H., Lee, M. & Jun, D. (2015). The effects of sale signs on consumer intentions to visit a store. Journal of Global Fashion Marketing, 6 (1), pp. 20 - 32. Choo, H., Yoon, S.-Y., Jung, H., Jim, G., Shin, H., Kim, H., & Kim, H. (2015). An exploratory study on visual merchandising of an apparel store utilizing 3D technology. Journal of Global Fashion Marketing, 6(1), pp. 33 - 46. Lin, Y.-F., & Yoon, S.-Y. (2014). Exploring the effects of lighting on consumer responses in a retail environment using 3D walk-through animation. Archive of Design Research, 2(28). pp. 5-25. Choi, Y., Yang, S., & Yoon, S.-Y., (2014). The effect on Korean consumers’ brand preference, trust, purchase intention for donation amount information of luxury fashion brand. Journal of Fashion Business, 18(6). pp. 19-37. Alawadhi, A. & Yoon, S.-Y. (2014). Effects of store image on perceived product value. International Journal of Design Management and Professional Practice. 7(3), pp. 31-52. Choi, Y. & Yoon, S.-Y. (2014). Neuroaesthetics: A review of the evidence on the importance of sensible design. Journal of Korean Society for Emotion and Sensibility. 17(2). pp. 45-54. Hwang, J., Yoon, S.-Y., & Bendle, L., (2012). Desired privacy and the impact of crowding on customer emotions and approach-avoidance responses: Waiting in a Virtual Reality restaurant. International Journal of Contemporary Hospitality Management. 24(2). pp. 224-250. Law, M., Bang, H., Selva, D., Yoon, S.-Y. & Hoffman, G. (2018). Side-by-side Human-Computer Design using a Tangible User Interface. Design Computing and Cognition 18, Milan, Italy. July 2-3. Bang, H., Shi, Y., Yoon, S.-Y., Hoffman, G., & Selva, D. (2018). Exploring the Feature Space to Aid Learning in Design Space Exploration. Design Computing and Cognition 18, Milan, Italy. July 2-3. Herbstreit, B., & Yoon, S.-Y. (2018). Participatory Design as a Tool for User Experience Assessment and Spatial Programming: Evidence from a Student Activity Center. EDRA49 Oklahoma City, OK. June 6-9. Yoon, S.-Y. & Lee, S. (2018). Rhythmic Space: Sound Reactive Projection Mapping for interactive environments. IDEC Annual Conf., Boston, MA. March 7-10. Yoon, S.-Y., Chung, S., & Shi, Y. (2018). Well-designed for social well-being: A WELL certified office pre-post case study. IDEC Annual Conf., Boston, MA. March 7-10. *Mojtahedi, A., Yoon, S.-Y, Hosseini, T., & Martinez, D. (2017). Imaginative Data: Case study of work dynamics, 2017 Intersections between the academy and practice, AIA-ACSA conference, Orlando, FL. April 26. Horst, J., & Yoon, S.-Y (2017). Forced Perspective Signs as Wayfinding Aids: Testing the usability of theme park scenarios using virtual reality technology. EDRA47 Madison, WI. May 31-June 3. Han, S., & Yoon, S.-Y (2017). Collaborative Design Problem Solving in Different Seating Arrangements: Using Mixed Methods for Evaluating Student Perceptions and Performance. EDRA47 Madison, WI. May 31-June 3. Akre, S., & Yoon, S.-Y (2017). Bringing Views of Nature into the Workplace: Can Artificial Windows Improve Worker Performance on Vigilance Tasks? EDRA47 Madison, WI. May 31-June 3. Yoon, S.-Y., & Shi, Y. (2017). Beyond the Noise: tackling the meaning of noise and speech privacy among knowledge workers in the open office environment. 2017 Interior Design Educators Council (IDEC) Annual Conf., Chicago, IL. March 8-12. * Lee, S., & Yoon, S.-Y. (2016). Environmental Legibility and Wayfinding in Amorphous Spaces: A Comparison Study of Linear and Curvilinear Layouts in Virtual Environments. Design Communication Association (DCA) Biennial Conf., Bozeman, MT. Sept. 9. Yoon, S.-Y. & Akre, S. (2016). Gender differences in psychophysiological and affective responses to designed environments: a pilot study, 7th International Conference on Applied Human Factors and Ergonomics (AHFE), Orlando, FL. July 30. *Jang, J., Baek, E., Yoon, S.-Y., & Choo, H. (2016). Understanding the affective response of consumers to the visual complexity of a fashion store: A psychophysiological approach, 7th International Conference on Applied Human Factors and Ergonomics (AHFE), Orlando, FL. July 30. Oh, H., Baek, E., Choo, H., Yoon, S.-Y., Janiszewski, C. (2015). How does lighting of stores interact with global versus local processing modes of shoppers in retail environments? American Marketing Association and American Collegiate Retailing Association (AMA/ACRA) Conference, Coral Gables, FL. March 4-7. Yoon, S.-Y., Hedge, A., Danko, S., Ying, H., & Bigalow, L., (2015). Forecasting performance of collaborative workplaces: case Studies to explore social sensing technology, EDRA46 Los Angeles, CA. May 27-30. Chandrasekera, T., & Yoon, S.-Y. (2015). The Effect of tangible user interfaces on cognitive load in the creative design process. 2015 IEEE International Symposium on Mixed and Augmented Reality – Media, Art, Social Science, Humanities and Design, Fukuoka, Japan. Sept. 29-Oct.3. pp. 6-8. Lee, Y.-R, Nam, K., & Yoon, S.-Y. (2015). Design characteristics of cultural spaces in traditional cultural areas using the concept of space marketing, EDRA 46, Los Angeles, CA. May 27-30. Chandrasekera, T. & Yoon, S.-Y. (2015). Virtuality to reality: Furniture designing through digital prototyping, IDEC Annual Conference, Fort Worth, TX. March 11-14. Eune, J. Ono, K., Fu, Z., Kim, Y., & Yoon, S.-Y. (2015). Workshop: Design approach for the development of metropolitan public transportation, CHI 2015: Int. Computer-Human Interface Con., Seoul, Korea, April 18-23. Yoon, S.-Y. & Park, N. (2015). Transforming the Visitor Center for Tourism in the Smartphone Era: Care study using a persona-based user-experience design approach, IDEC Annual Conf., Fort Worth, TX. March 11-14. Chandrasekera, T. & Yoon, S.-Y. (2014). The effect of virtual reality and augmented reality in the design process, DCA Biennial Conf., California Polytechnic State University, Atlanta, GA. Oct. 2. Chandrasekera, T., & Yoon, S.-Y. (2014). Using augmented reality tools to enhance design creativity, IDEC Annual Conf., New Orleans, LA. May 28-31. Choi, Y. & Yoon, S.-Y. (2014). Neuroaesthetics: A review of the evidence aimed at sensible design, 2014 Korean Society of Consumer Studies, Seoul, Korea. May 10. Yoon, S.-Y. (2014). An Enjoyable Journey From Digital to Analog: From Digital Sketching to Watercolor Painting, Creative Scholarship, IDEC Annual Conf., New Orleans, LA. March 7. Alawadhi, A., & Yoon, S.-Y. (2014). Display layout and perceived crowding: Examining the effects of interior design on customers’ perception of crowding in a retail environment, 2014 IDEC Annual Conf., New Orleans LA. March 6-9. Lin, Y.-F., & Yoon, S.-Y. (2013). Enhancing Atmospheric Effects: Exploring the Effects of Display Lighting on Consumers’ Psychological and Perceptional Reactions in a Retail Environment. EDRA 44. pp. 339. Providence RI, May 29-June 2. *Chandrasekera, T., & Yoon, S.-Y. (2013). An augmented reality-based spatially related navigation system for internal navigation of healthcare environments. EDRA 44. pp. 244-245. Providence RI, May 29-June 2. *Chandrasekera, T., D’Souza, N., & Yoon, S.-Y. (2013). Soundscapes in Immersive Virtual Environments. Int. Symposium on Affective Engineering (ISAE2013). Fukuoka, Japan, pp. 341-350. March 6-8. *Yoon, S.-Y., & Kim, D. (2013). Experiencing Color Environments by Different Age Groups: Tapping into the Potentials of VR Simulation. ISAE2013. Fukuoka, Japan, pp. 193-198. March 6-8. Yoon, S.-Y., & Wise, K. (2013). Reading the Mind and Body Responding to Color Environments: Computer Simulations with Self-Reports and Physiological Signals. IDEC Annual Conf., pp. 694-695. Indianapolis, IN. Feb. 17-19. Lin, Y.-F., & Yoon, S.-Y. (2013). Exploring the Effects of Display Lighting in a Retail Environment, IDEC Annual Conf., pp. 364-366, Indianapolis, IN. Feb. 17- 19. Chandrasekera, T., Yoon, S.-Y., & Balakrishnan, B. (2012). Digital orthographic projections in architectural representation: Augmented Reality based Learning, DCA Biannual Conf., Stillwater, OK. Oct. 21-24. Balakrishnan, B., Oprean, D., & Yoon, S.-Y. (2012). Analog to digital: affordable image-based 3D modeling and motion capture for architectural design and evaluation, DCA Biannual Conf. Stillwater, OK. Oct. 21-24. Educator Partner, American Society of Interior Designers. 2013-present. I have been providing professional consulting for local families and non-profit organizations, e.g., schools, Ithaca visitor center, Ithaca Community of Recovery, etc. in and outside the classrooms. Many times those cases are developed to be class projects for DEA 1105 (design graphics and visualization) and DEA 3301 (Design User Experience Studio) for students community engaged/service learning. Through the real-world design-problem solving exercises, students learn how to approach the problems via effectively communicating with the clients(users) as well as apply/polish skills and knowledge taught in the courses. Most importantly, I want the students to develop the sensitivity to those with special needs; to understand the positive impact of good design; to appreciate the value of design and what designers can do to make a difference. In 2018, I provided consulting for a family with a young child diagnosed with genetic muscular dystrophy to redesign their home to meet her growing physical challenges. In DEA 3301 (Fall 2018) this case was further developed and adopted as a studio project for students to propose design solutions and guidelines for users with such special needs. Cornell Law School (CLS) rebranding project for DEA 3301 (Fall) was another case where students work for CLS leadership and their design services team to provide research-based design proposals using User-Experience (scenario) based approach and advanced design simulations. Our team provided two presentations to CLS leadership and is invited to meet with their facilities group. In DEA 1150 (Spring 2018), one of the main projects was to provide the Cornell Dining with design/branding proposals for Martha's Express, a temporary location of Martha's Cafe in the MVR hall during the building renovation. Three out of five groups proposals were chosen, and design elements were adopted and executed in Martha's Express opened in summer 2018. Teaching art and technology of design was one of my primary motivations to pursue doctoral studies, and it remains the main reason for me being in academia. I am grateful for being able to work with bright and motivated Cornell students who are eager to learn and make a positive difference by design. I am committed to facilitating a learning environment that is enjoyable and also rigorous. I continuously devise several teaching strategies to help students become competent designers and effective communicators regardless of their preferred learning and problem-solving styles. In all my classes, I attempt to personalize instruction to meet the needs of each student with the respect they deserve, but without compromising the standards of excellence. Because students possess different learning strategies, abilities, and diverse backgrounds, I value and promote diversity by presenting information in a variety of formats and by interacting with individual students as a facilitator to engage them in active learning. I thoroughly enjoy working with our students, helping them build various design communication skills and user experience approach to become good designers/problem-solvers, and learning from them how they process information and apply the acquired knowledge into their work. Since design and visualization technologies are essential elements of my research, teaching also serves as an exciting opportunity to attract motivated and talented students for my research projects. I see teaching and research as being complementary to my personal growth and one of my professional goals -- to become a facilitator for students as they grow well-rounded leaders in the field. This course immerses students in the act and art of design communication. Drawing and rendering techniques using both manual and digital media will enable students to effectively present ideas visually to oneself and others. Orthographic and perspective methods for conceptual and formal drawing are covered to understand form and space. The four main projects for this class include: 1. free hand sketching and rendering; 2. creative dorm room design using AutoCAD and SketchUp; 3. from analog to digital: perspective drawing/ Photoshop rendering; 4. recreate an exemplar of modern architecture, visual documentation. This course intends to engage students in design processes of socially relevant innovation. One or two projects throughout the semester will immerse students in different types of user experience design as design-problem solving. It is organized around the design process broken into four phases: research/ideation, prototyping, design evaluation, and design documentation/presentation. Effective use of technology and research/evidence driven design approach will be emphasized throughout the design process. This course will immerse students in advanced techniques of design communication and evaluation for simulation-based empirical research on user experience in built environments. Through lectures, readings, demos, and hands-on projects, the course explores advanced digital media simulations for design and design research.